Odds are you're probably not getting enough fiber in you're diet but you're not alone, some reports suggest that as many as 95% of Americans aren't hitting the mark. In fact, we're clearly so bound up that the highest trending health term last year was hemorrhoids. I'm not kidding, hemorrhoids. No one should have to suffer the many health conditions associated with a lack of fiber when it's readily available in so many nutritious foods. Before I get to some fantastic fiber sources let's review a few fiber basics. What is fiber and where do we get it? Fiber is a form of carbohydrate found in plant foods that we can't digest or absorb. 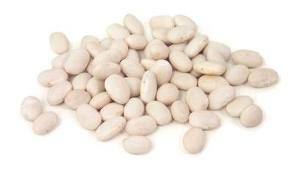 It's found in beans, peas, lentils, vegetables, fruits, nuts, seeds and whole grains. Why is fiber important? Fiber keeps your digestive system healthy and regular so you avoid, constipation, hemorrhoids and diverticulitis. It slows the absorption of sugar into your blood stream, helps stabilize blood sugar levels and prevents Type 2 diabetes. It promotes heart health by lowering cholesterol, and reducing blood pressure and inflammation. It helps you feel full and satisfied and helps prevent obesity. Fiber may also reduce the risk of certain types of cancer, including colon, breast and prostate. What are the different types of fiber? There are two types of fiber soluble and insoluble and we need both. Soluble fibers such as those found in oats, beans and apples, attract water and move slowly through your system. Insoluble fibers such as those found in whole grains, nuts and vegetables don't dissolve in water and move through your system relatively intact speeding up the passage of food and waste. Women under 50 - 25g /day, Women over 50 - 21g/day. Below is a list of some of my favorite, nutritious, natural, whole food sources of fiber and I urge you to add as many as you can to your diet. 15% vitamin C, 27% folate. Chia is a tiny little seed with some fantastic nutritional benefits. Besides offering up decent amounts of calcium, magnesium, potassium and protein, Chia is one of the richest sources of antioxidants (even more than blueberries), fiber (as much as 5g per tablespoon) and plant based omega-3s. These nutritional attributes may be very good for our health. Chia's high fiber content can help stabilize blood sugar, lessen insulin resistance and help cleanse and soothe the colon. The omega 3s are important for heart and brain health and may lessen pain and inflammation . 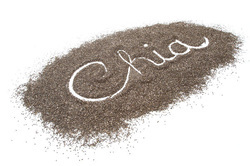 Chia's high antioxidant content may help fight cancer and protect the heart. Another talent of this little seed is its ability to hold up to ten times it's weight in liquid which might be the makings of a great weight control tool by helping us feel full and satisfied longer. Chia is pretty easy to add to your diet. They have a very mild, unassuming flavor that works in both sweet and savory recipes. Sprinkle them on cereal, salads or yogurt. Add them to smoothies. Grind and add to baked goods or sprout and add to sandwiches and salads. Chia Beverages An easy way to get Chia into your diet is to add Chia to your favorite drink. Just give it at least 10 minutes to soften so your beverage is less crunchy. Chia Fresca, is a popular drink in Mexico. Basically it's lemonade with chia seeds in it. Fill a glass or pitcher with filtered water squeeze in some fresh lemon or lime juice and add up to a teaspoon per cup of Chia seeds. Sweeten to taste with your favorite sweetener. Prepared and bottled Chia beverages are also available such as Mamma Chia in health food stores. Chia Puddings A simple tapioca like pudding that is easily adapted to any flavor combination, needs no cooking and can be ready to eat in 30 minutes. Simply add 2 Tablespoons of Chia to 1 cup of your favorite milk (unsweetened almond milk is good) add a pinch of sea salt and sweeten to taste with your favorite sweetener. Stir it up well, cover and place in refrigerator. Give it at least a half hour to do its magic then mix in or top with fresh fruit, dried fruit, spices, cocoa, go crazy and enjoy. Overnight Oats with Chia This breakfast idea is perfect for people in a rush in the morning because you prep it the night before and it's ready when you rise. In a covered bowl add 1 cup of your favorite milk, 1/2 cup old fashioned rolled oats, 1 Tablespoon of Chia, pinch of salt and sweeten to taste, Mix and put in the refrigerator overnight. In the morning add any topping you might like and dig in. 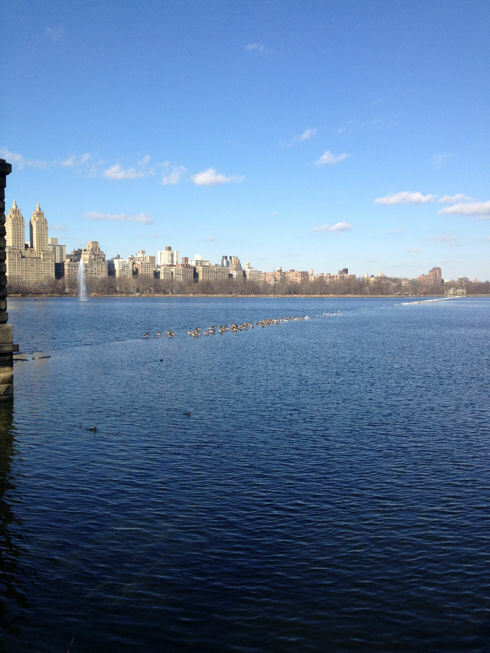 One loop around the Jackie O. Reservoir is 1.57 miles. 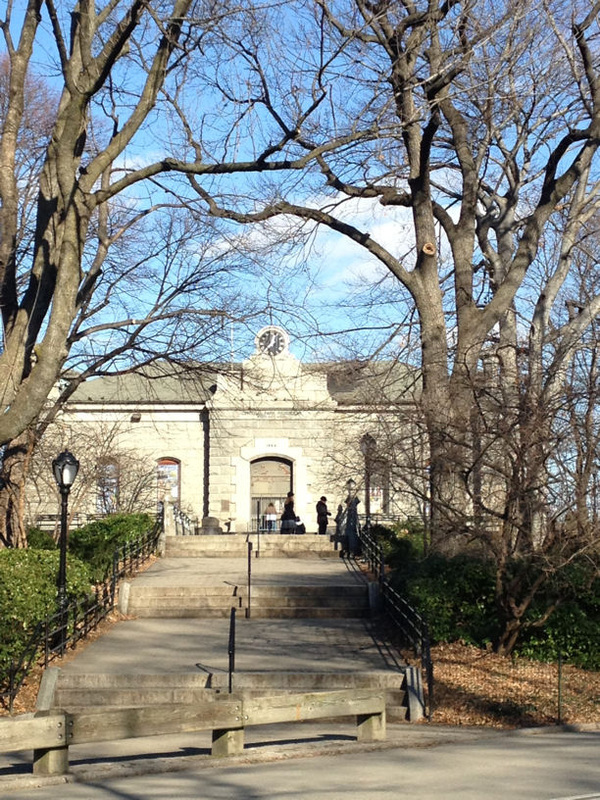 Today, the temperature was in the.twenties and I layered up and headed over to the Reservoir in Central Park, my favorite spot for a brisk walk or a run. As soon as you cross the traffic of Fifth Avenue and step foot into the Park something shifts, you can take a deep breath and the tension starts to slip away, you're surrounded by nature and open spaces. Turns out this incredible mood shifting experience that happens each and every time I exercise in the park has some research behind it. Studies suggest exercising outdoors as opposed to a gym or indoors can be as much as 50% better for our mental health. The positive benefits of outdoor exercise include greater reductions in stress, tension, anger, confusion and depression and greater increases in mood and self esteem. It sure makes a huge difference for me, so layer up and get out there, even in the cold of winter, and enjoy the benefits to your body and your mind. New York City Nutritionist offering Preventive and Therapeutic Nutrition Counseling in office, by phone and via skype.